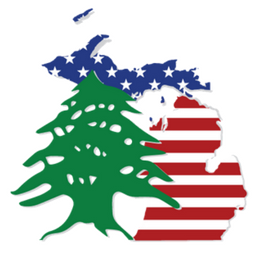 The Lebanese American Club of Michigan (LACOM) is a 501(c)(3) non-profit organization created to preserve Lebanese American heritage and culture, and build cultural bridges between Lebanon and the United States. Since 1996, the organization has worked to host independent community activities that unite the Lebanese American community, and educate the public about Lebanon, its people and culture. For more than two decades, LACOM’s signature Trailblazer Award Gala has honored renowned leaders and personalities of Lebanese descent, and recognized their inspiring success stories in the United States and abroad. The honorees include Michigan Supreme Court Justice David Viviano, Former CBS News Correspondent Aleen Sirgany, Oakland University Dean Dr. Louay Chamra and Attorney Joumana Kayrouz. The gala centers on LACOM’s mission to share inspiring stories and encouraging messages with future generations of Lebanese Americans. LACOM’s commitment to bolstering the next generation of Lebanese American leaders is a testament to the organization’s values and annual activities. LACOM is proud to support the academic endeavors of Lebanese American students with academic scholarships and matching programs to major universities in Michigan. The organization also hosts a variety of events that include family picnics, award ceremonies, film screenings, professional networking mixers, sporting events and scholarship presentations. In addition to the signature annual events, LACOM is proud to partner with major community groups and organizations that include the Lebanese Collegiate Network, Leaders Advancing and Helping Communities (LAHC), the Arab Community Center for Economic and Social Services (ACCESS) and Lebanese Student Associations at major universities around the nation. LACOM works to build working relationships with local, national and civic leaders and organizations to promote diversity and raise awareness of the many contributions of Lebanese Americans in the United States. The supporting sponsors that help LACOM achieve this goal include DTE Energy, MA Engineering, G-TECH and Oakland University. The LACOM Executive Board includes medical, engineering and media professionals with a diverse outlook to expand and strengthen the organization’s activities, charitable work and community service projects. LACOM is always open to anyone interested in joining in this mission.